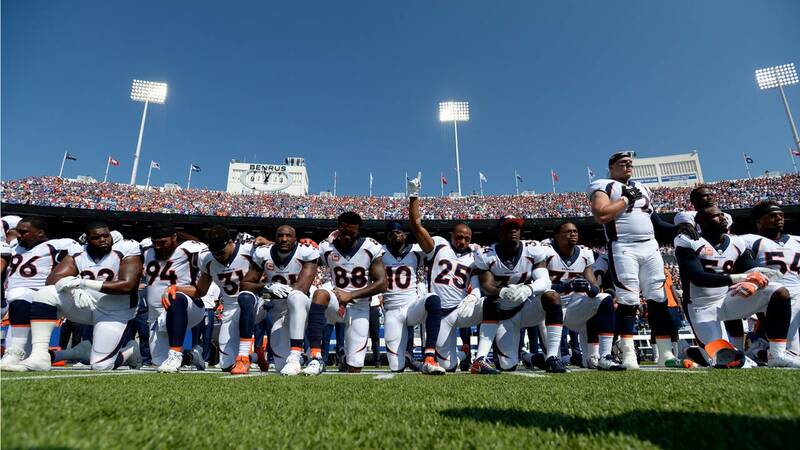 The NFL rejected an ad from a veterans group that included the text #PleaseStand, calling on players to set aside their protest and stand during the national anthem. NEW YORK (CNNMoney) - The NFL rejected an ad from a veterans group that wanted to publish in its Super Bowl program. The protest began last season when former San Francisco 49ers quarterback Colin Kaepernick knelt during the National Anthem to protest mistreatment of black Americans, particularly by police. Although Kaepernick did not play this season, other players followed his lead and began kneeling this year.